COMPOSER & Musical Director Bobby Gebert, is a major figure in the Australian jazz scene and has been performing for almost 5 decades, at literally thousands of concerts, festivals and venues nationwide and internationally. It was in 1949 at just five years old that Bobby was recognized as a musical child prodigy and performed his first concert at a music competition in South Australia where he performed and won “1st Place. Bobby is considered a master in Australia and is well known and has a strong following and highly respected in jazz circles for his compositions, performances and recordings with his solo career The Bobby Gebert Trio .He has also been a great teacher and mentor to many successful well-known Sydney jazz musicians today. It is Bobby’s international credentials that are most impressive having performed with two of the greatest female jazz vocalists of all time: Sarah Vaughan & Carmen McRae great singer Helen Hume’s. Bobby toured with Two of the greatest tenor saxophone players of all time: Johnny Griffin and Junior Cook and Eddie Henderson ( Herbie Hancock’s trumpeter) Buddy de Franco (Count Basie’s white clarinettist In Australia he has performed with James Morrison, Dale Barlow, Renee Geyer ,Don Burrows, Bernie McGann, John English, John Pochee, Joe Lane, Jeannie Lewis, Delilah & John Sangster to name a few. He studied and played with Pianist Walter Davis the great pianist who worked with Charlie parker and Sonny Rollins and the rest. — John Shand – Author, Jazz Reviewer & Music Critic, Sydney. IN his teens Henry Holt was an accomplished performing blues harmonica player (influenced by Afro/ American blues musicians). At 23 his love for blues music led him to the saxophone and was largely self-taught in the style of blues players Earl Bostic and Louis Jordan. He traveled extensively during his twenties in Western Australia and Queensland as a sideman to many Rhythm and Blues Bands and toured. At 30 his interest in jazz developed, and he studied and played with Leading Australian saxophonists Mark Simmons (Free boppers, Renne During these years Henry was performing Jazz around Sydney and Melbourne and brushed shoulders with many influence’s and teachers .In the early 2000 Henry spent 3 years teaching saxophone /clarinet at Sydney North Shore Schools and private students. In 2011 Henry hired Bobby Gebert for a Jazz gig which lasted weekly for 2 years, during that time he has become a student of Bobbys, continues to study, record and perform with his friends and mentor. MARTIN HIGHLAND moved to Sydney from his native New Zealand in 1983 to attend the Associate Diploma of Jazz Studies Course at the NSW Conservatorium of Music from which he graduated in 1985. In 1989 Martin undertook further study by spending 7 months in New York City in the USA where, assisted by a grant from the Australia Council, he studied at the New York “Drummers’ Collective” and took regular private lessons from Joe Morello and Keith Copeland. He has since worked and/or recorded with jazz pianists Paul McNamara and Bobby Gebert, saxophonists Tim Hopkins and Gai Bryant and singer Monica Trapaga. He has also worked extensively as a freelance player working with big bands, latin bands, world music ensembles, rhythm and blues players and cabaret performers. Martin has also been active as an educator, teaching high school students in one on one or ensemble situations. He has worked as a drumset tutor at Sydney Grammar School from 1995-2013, a percussion tutor at Fort Street High School from1995-2013 and a drumset/percussion tutor at Newington College from 2010-2013. He also presently tutors in ensembles run by the NSW DEC Arts Unit. AFTER many years playing Electric Bass & Guitar in the Sydney rock & pop scene, Mark took up Double Bass and in 1993 graduated from the Sydney Conservatorium Jazz Studies Course. He has since established himself as a sought after player known for his versatility and professionalism. Between 1995 and 1997 Mark spent time In Abu Dhabi and Kuala Lumpur playing long running residencies with The Sydney Blue Notes and The Blue Martinis. &nbsp;As a freelancer he has performed, toured and recorded with wide range of acts incuding Delilah Williams, Ed Wilson's Big Band, The Bobby Gebert Trio, Billy Fields, Frank Bennett, Grant Galea,&nbsp;The Flyers, The Flaming Stars, The Jivebombers, Edwina Blush, Steve Prestwich ( Cold Chisel ), Leonardo's Bride, Vov Dylan's Viennese Orchestra, and the NSW University Orchestra among many others. 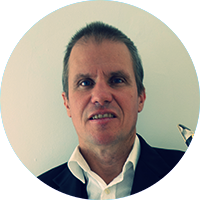 Mark has been the resident Bass Tutor at both Newington College and The international Grammar School since 2001.